The Opportunity Agenda uses American values—equality, mobility, redemption, voice, community, and security—to lay the foundation for full and equal opportunity. The goal of creating a nation where these values inform every conversation we have and every project we take on together is ambitious, but with collective effort and investment, it is possible. 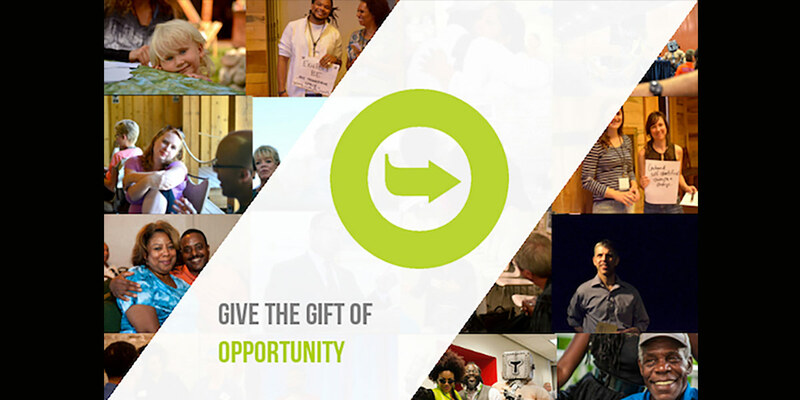 Donate to The Opportunity Agenda: To give us the flexibility to dream big and take bold risks, donate now to The Opportunity Fund! If you would like to mail your check, please send to: Development Department, The Opportunity Agenda, 568 Broadway, Suite 701, New York, NY 10012. Robert L. Carter Fellowship Program: The Robert L. Carter Fellowship is a two-year fellowship for innovative minds to pursue legal and policy research and advocacy at The Opportunity Agenda. The position is named in honor of Judge Robert L. Carter of the federal Southern District of New York (Manhattan), the primary architect of the innovative legal strategy in Brown v. Board of Education. For more information, contact Leslie Weber, Vice President for Institutional Advancement, by email or make a gift here. Give a Gift of Stock or Legacy: Stock donations can be made by electronic transfer through the Tides Center. For instructions about gifts of stock or how to make a planned gift, please contact Leslie Weber, Vice President for Institutional Advancement, by email. Matching Gifts: Many companies will multiply the impact of your contribution through a matching gift. To find out if your company matches your charitable contributions, give your human resources department the EIN for The Opportunity Agenda of Tides Center. Please contact Leslie Weber, Vice President for Institutional Advancement, by email by email for more information.